Choosing a Scout character for your force give certain deployment advantages. 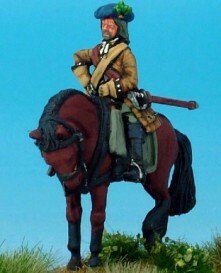 This is a very simple Warfare Cuirassier conversion described in the next photograph. Limited offer at £20 + postage for both BLB2 and R2E so, if you have mate at the club who you are trying to entice to play, here's a great chance if he's not worth more than a £20 pressie!